This is a residential (Class 2 | Cat 1) water loss. 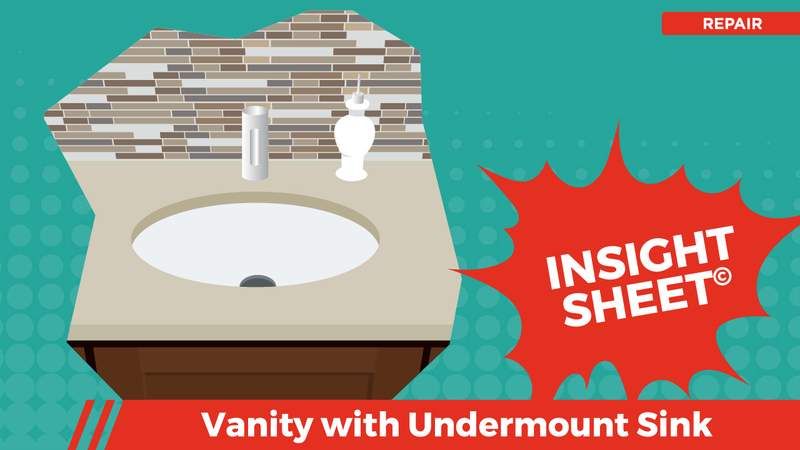 A supply line behind the adjacent toilet failed and the water ran under the vanity, directly affecting the vanity and the drywall behind it. As such, the mitigation contractor detached and disposed of the vanity, but remained thoughtful enough to leave the doors and the associated hardware in the garage. The mitigation contractor reported that, due to the passage of time, the supply lines were visibly compromised post detach and they were disposed of as they remained ill-equipped to stand up to a reset. In a similar vein, when the angle stops were shut off the gaskets failed and they both leaked. In response to this, the angle stops were braised off and replaced with c-caps. The mitigation contractor also explained that the p-trap inlet admission was cemented to the tailpiece and had to be cut in order to detach the sink from the countertop. What the mitigation contractor failed to mention is that the sink drain assembly was broken when the sink was laid on its side in the garage. As such, a replacement universal drain assembly that was compatible with the existing fixture was procured and installed. 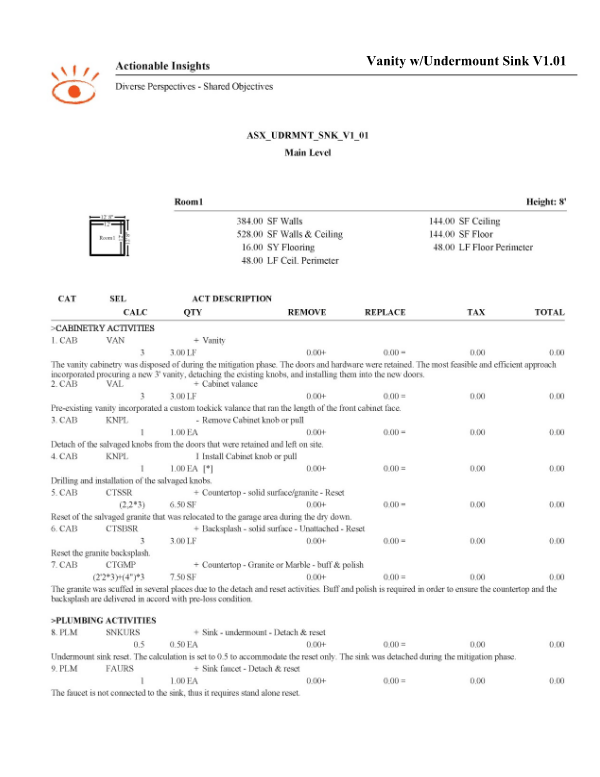 This Insight Sheet exists to clarify how one might invoice a vanity with an under-mount sink. This does not seek to include or make concessions for all equipment and/or activities as it relates to a loss of this nature.